"We're talking about addressing the disparity of income where the wealthy people continue to get wealthier and some other people are falling out of the middle class when we want to bring many more people into the middle class. But that disparity is not just about wages alone, that disparity is about ownership and equity. 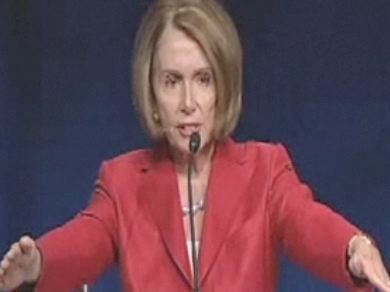 It's all about fairness in our country," House Speaker Nancy Pelosi said to the United Steelworkers on Monday. Pelosi: "If Someone Punches You, You Punch Them Right Back"